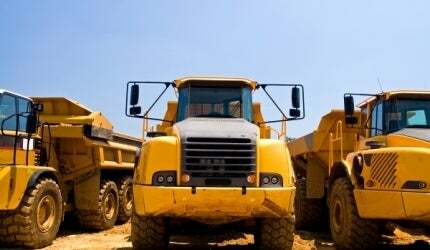 OLG provides customized leasing programs and solutions for mining vehicles, equipment, accommodation camps and turnkey mining projects for any type of asset. Turnkey lease solutions may include transport of materials, installation, and all FFE. These provisions would depend upon the project and supplier that the customer utilizes for the assignment. A ‘master lease’ supports turnkey projects and a faster continual procurement process. Vehicles / equipment / camps may be utilized under the same lease in different countries, and under different projects. Are you a supplier? OLG will customize a leasing program specifically to accommodate your company’s sales goals and strategies. OLG will provide training to your team, cooperative marketing and ongoing partner relations to ensure a complete, comprehensive program. 100% financing – One of the most beneficial reasons for leasing is that a lease includes all costs to obtain equipment and therefore does not require a down payment or additional collateral. Transport, installation and set up costs may be included in the lease structure. Unique geographical flexibility – The customer has the ability to relocate assets to alternate projects in different countries as needed during the term of the lease. Customer value and flexibility – The customer decides on the make and model of equipment. OLG will utilize the customer’s contacts and sales quotations for lease structures when applicable and available. OLG can arrange financing and leasing solutions for any type of asset. *OLG is not a modular building or camp supplier. We work with any supplier that a customer requests, or we have the ability to procure such suppliers with a reasonable amount of lead time for the project lease RFP.